Achieve your racing goals and help our athletes achieve theirs. 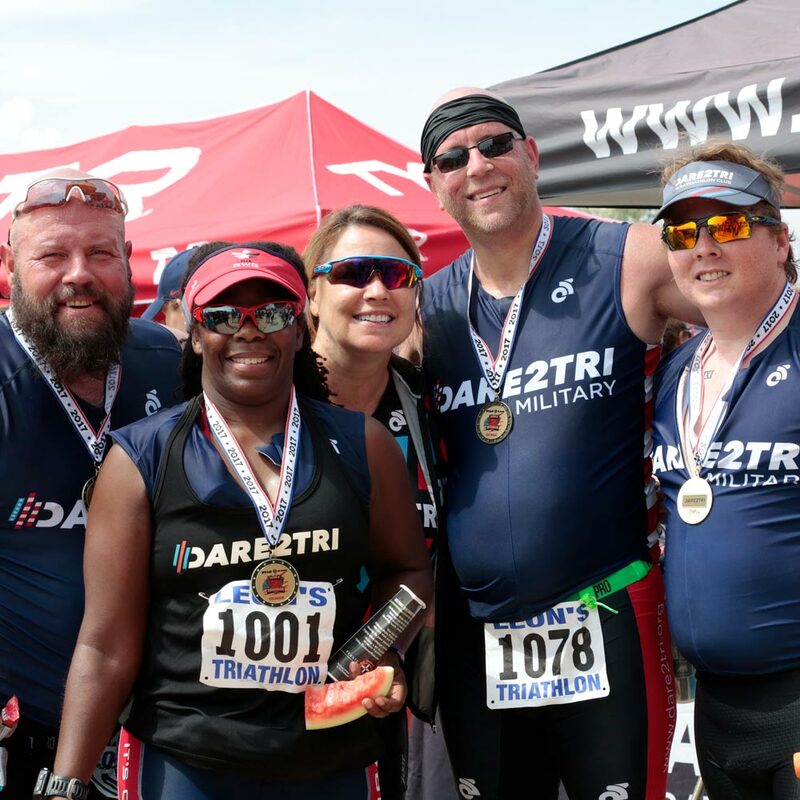 When you join the Dare2tri Race2Raise Team you'll become part of a community of fitness revolutionaries helping to make physical activity accessible to everyone. Race2Raise team members commit to raising money for Dare2tri in pursuit of a personal racing goal. In exchange, we provide a unique experience that includes training support, race day perks, and access to an amazing community of athletes. We believe that ability is limitless when you set your mind to something. By being active, people of all abilities build confidence and develop a stronger sense of self-worth—in fitness AND in life. All funds from Race2Raise allow us to provide equipment, programs, and training that give people with physical disabilities and visual impairments the opportunity to lead active, healthy lifestyles. Join us! Select from one of our affiliate races or you can choose one of your own. Join the team by selecting a race below & completing our online form or selecting your own race and sending an email to shawna@dare2tri.org. Once you've joined our Race2Raise team we'll give you the information you need to register for your race. Sign up for any endurance event your heart desires! You'll still get fabulous perks and access to an amazing community. Tell us about your race by sending an email to shawna@dare2tri.org. A customized fundraising webpage to make securing donations easy. See affiliate races for details. 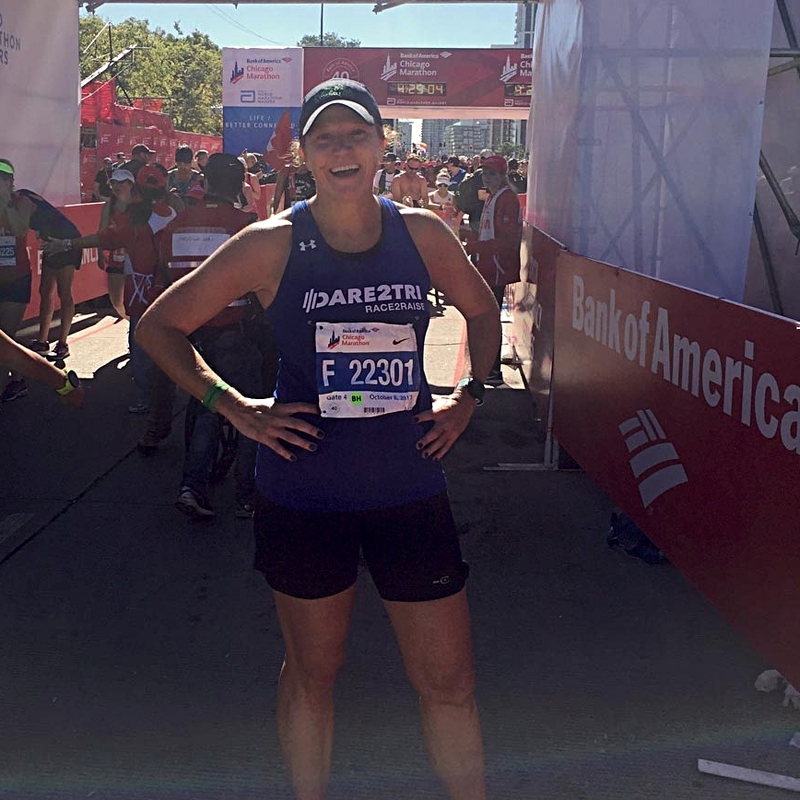 Check out Heidi's story of why she chose to join the Dare2tri Race2Raise team. For more information or to join the team, email Shawna at shawna@dare2tri.org.